The Economist Intelligence Unit (EIU) has said this year’s expected recovery in the agricultural sector and a relatively high level of government spending will lift economic growth to 4.1 percent, with the rate expected to fall in 2020. In its March 2019 Country Analysis, the EIU, a British business unit within the Economist Group providing forecasting and advisory services through research and analysis, says it expects an average annual growth rate of 4.3 percent between 2021 and 2022. It also says it expects the services sector to recover with the highest rate of growth in the forecast period in 2023 at 5.1 percent. 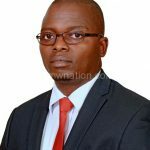 This is based on the assumption that the 300-megawatts (MW) coal-fired power plant at Kammwamba in Neno is brought on the national power grid. However, the firm has singled out adverse weather, pest-related disruptions to crop production and a sharper than expected depreciation of the kwacha as major upside risks, which could affect growth. , owing to favourable monsoon rains and higher agricultural output. Furthermore, the softening of global oil prices will help to reduce inflation. According to the 2018/19 first round crop estimates produced by the Ministry of Agriculture, Irrigation and Water Development, maize output is expected to rise from 2.6 million metric tonnes (MT) last year to 3.3 million MT this year. Maize, as part of the food component, traditionally impacts the country’s economy given that it constitutes 45.2 percent in the Consumer Price Index (CPI), which is an aggregate basket of goods and services used in computing inflation. Reserve Bank of Malawi (RBM) baseline quarterly projection model has shifted downwards to an average inflation rate of 8.5 percent in 2019 from an earlier projection of 10.1 percent on account of favourable prospects for macroeconomic outturn and favourable weather conditions experienced so far which point to higher agricultural output. Earlier, Minister of Finance, Economic Planning and Development Goodall Gondwe said government is projecting the economy to register a growth rate of seven percent banking on good rains. In his Mid-Year Budget Review Statement two weeks ago, he spoke about rebasing the gross domestic product (GDP), saying this will ensure that sectors previously ignored are incorporated in the national accounts. Rebasing GDP means changing the base year when calculating the nominal GDP at current market prices and Malawi has been using 2010 as a base year. 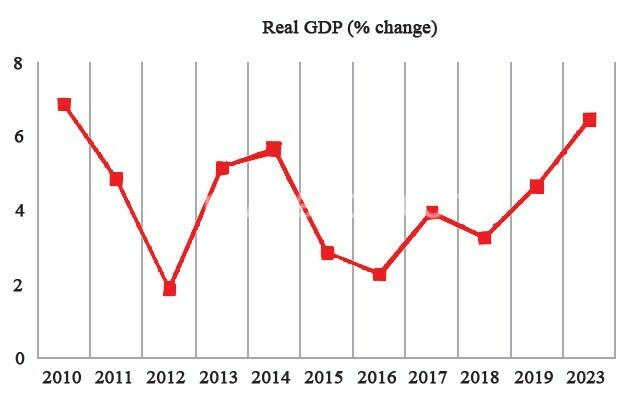 But analysts believe nine years down the line, the economic landscape is now dynamic and has changed, necessitating a corresponding change in the way the country calculates its GDP.